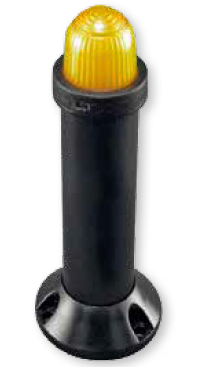 The Series 220 Compact Panel Mount Signal Light are designed for panel builders that need a highly visible signal light in a compact space. The 30mm (1.2″) diameter dome light is small enough to fit in a small panel, but bright enough to be visible in direct sunlight. 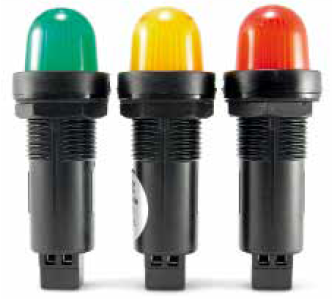 The 220 series is available in steady on or flashing versions, with 6 color choices. Mounting in a 22mm diameter hole is a cinch on panels up to 15mm (0.59″) thick, and the IP65 rating makes it suitable for outdoor installations.